Vintage extends its deepest sympathy and condolences to the family of EAA Vintage Aircraft Association Director Ron R. Alexander, VAA 27150, EAA 137890, who was killed on Thursday, November 17, while flying his beloved Curtiss Jenny near the Candler Field Museum/Peach State Airport in Williamson, Georgia. 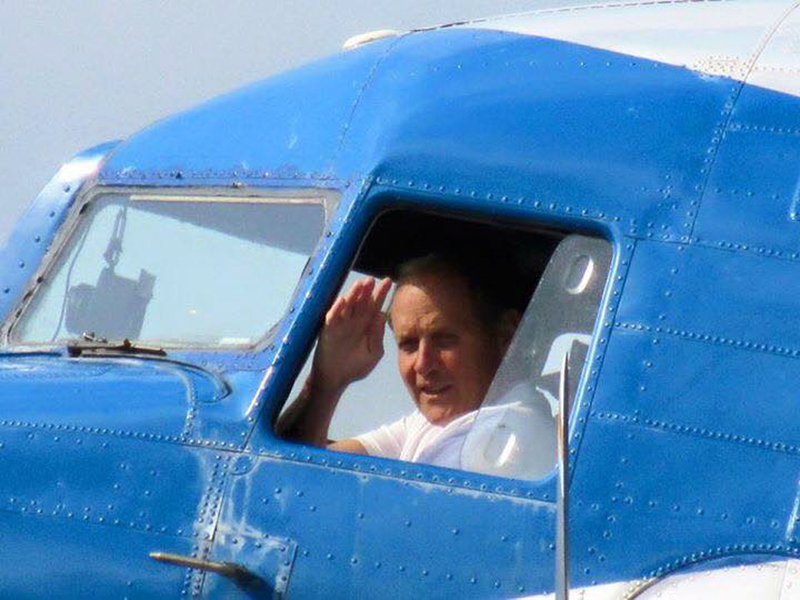 Words cannot describe the shock and sorrow shared by Vintage members and throughout the entire aviation community. There will be a celebration of Ron’s life at a later date, to be announced. Born in 1942 in Bloomington, Indiana, Alexander soloed an Aeronca Champ at the age of 16. From there Alexander climbed the ratings ladder by instructing ROTC cadets before entering the Air Force in 1964. While serving our country Alexander flew the de Havilland Caribou, supplying Special Forces troops in Vietnam and earned the rank of captain before leaving the Air Force in 1969. Alexander joined Delta airlines in 1969 and flew an assortment of jets as a captain before retiring in 2002 with 34 years of service. While flying for Delta, he became enamored with vintage airplanes and began a love affair with these historic treasures. 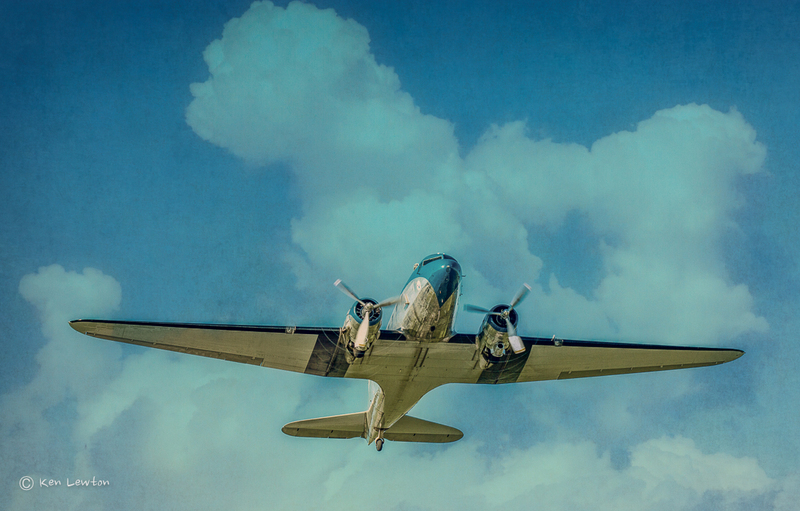 From Stearmans to Cubs to DC-3s, Alexander’s greatest love was sharing the joy and beauty of flight with young and old alike. Ron loved flying his DC-3 to events. 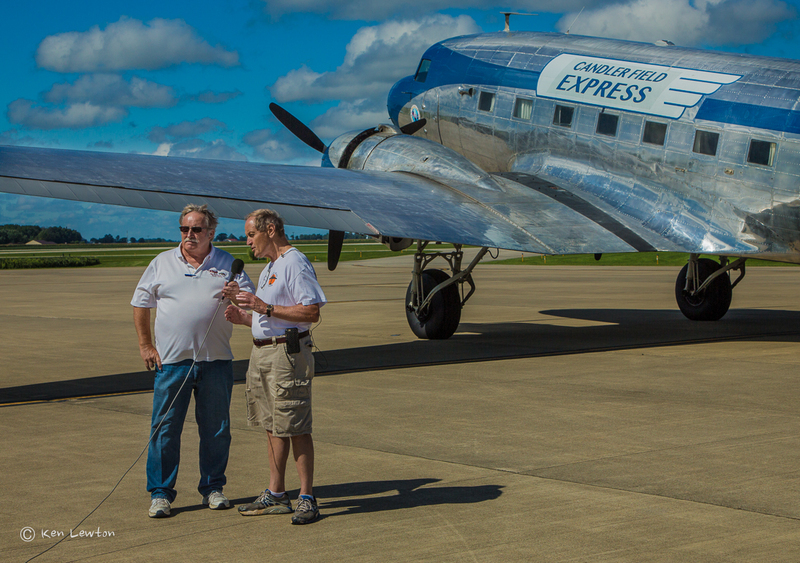 Here he is being interviewed by Ray Johnson this past September at the Marion, Indiana Fly-In/Cruise-In. Photo courtesy of Ray Johnson. Ron founded the Alexander Aeroplane Company in 1979, supplying material to aircraft builders and restorers. In 1993, he created the “SportAir Workshops,” which have opened the doors to countless homebuilders and restorers by giving them hands-on educational experience in the art of building an airplane with an assortment of materials. In 1999, Alexander sold SportAir Workshops to EAA, which carries on that tradition and Alexander’s vision today. In 1992, Ron purchased Stits Poly-Fiber, Inc., manufacturing the Poly-Fiber covering process and remained president of that company until 2002. 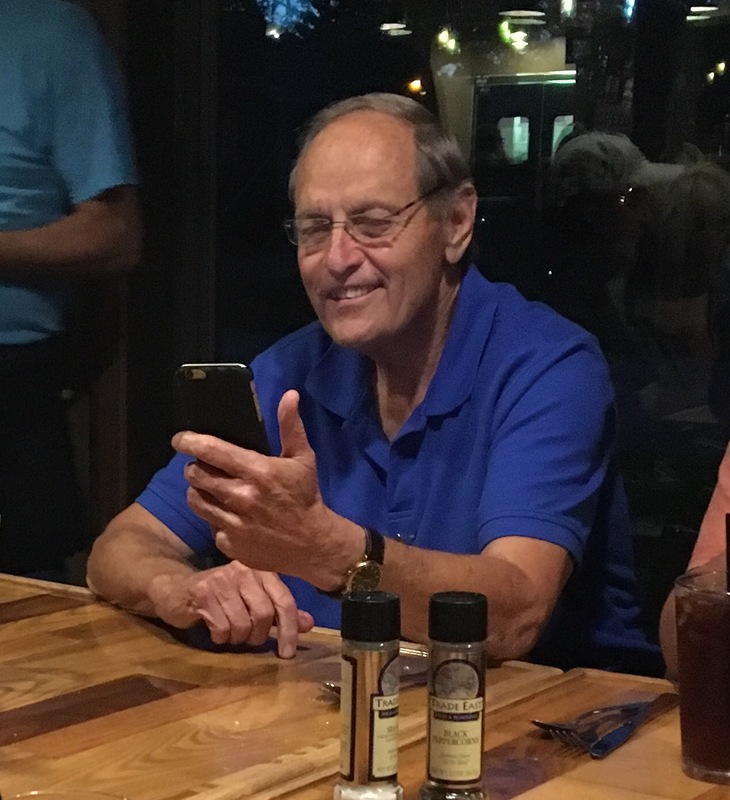 He was also a regular contributor to EAA Sport Aviation and EAA Vintage Airplane magazines writing technical articles for homebuilders and antique aircraft restores. Ron founded the Candler Field Museum in 2004 at his home airport, the Peach State Aerodrome. 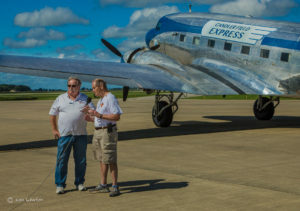 His vision was to re-create the early days of the old Atlanta airport — the original Candler Field — replicating hangers from the 1930s and showcasing the aircraft that operated there during the golden age of aviation. 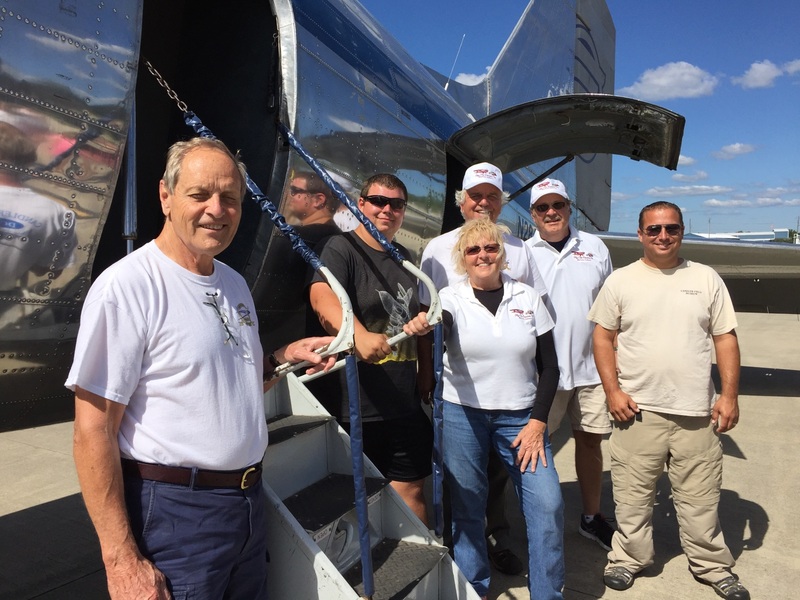 One of Ron’s aviation passions was involving youth in vintage aviation. He also also served as a director on the Candler Field Flying Club and formed the Candler Field Youth Mentoring Program. 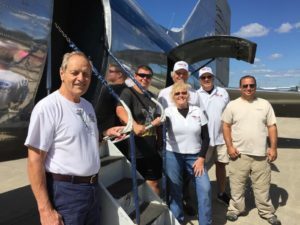 That organization focuses on teaching young people to not only restore airplanes but learning how to fly them as well. Read more about the Candler Field Museum Youth Mentorship Program here. Ron Alexander’s detailed biography at Aircraft Spruce is available here. The video and photos below courtesy of Ray Johnson.